Do you have a big pile of documents sitting in your home? Or maybe you’re a business that has recurring shredding needs? Whatever the case, we’re here to help with our on-site, next-day shredding services available Monday through Friday. Scheduling your shredding appointment with A1 DATASHRED is easy – just give us a call. We’ll start by explaining our services so you have a better idea of what we offer. And of course, if you have any questions along the way, we’ll answer them so you are comfortable. Once you decide on a service, you’ll receive a quote. The last step is figuring out a day that works best for you for your appointment! With our next-day service available five days a week, that shouldn’t be a problem. All of our shredding happens on-site at your Georgetown MA home or business for your convenience. At the time of your appointment, one of our uniformed technicians will show up to start the process. They’ll collect all your private documents, receipts, and other sensitive papers and lock them in a bin. Once all your papers have been filed, our technician will roll the bin out to our paper destruction truck. The high-tech truck automatically lifts the bin into the truck empties it right into the shredder. To give you peace of mind, we even installed a viewing screen the side of the truck so you can watch your documents being destroyed. If you’re a business in Georgetown MA, you’ll be pleased to know we offer two separate options: one-time and scheduled document destruction. One-time shredding – Is onsite destruction of your business records on-demand. We’ll only come out when you give us a call. This is a great option for any size business that has an occasional need for shredding services. Scheduled shredding – Is our recurring service. We’ll come out on a regular basis – every week, two weeks, or month – depending on your needs. With this ongoing service, we’ll also provide our locked containers that stay in your office so you and your employees can throw papers in them instead in an open wastebasket. This makes it convenient for your staff and safely stores all the papers until they are destroyed. If you don’t own a business – don’t worry! We aren’t leaving you out of the equation. Our residential shredding service is available to individuals at their home. This is a great way to get rid of old personal papers that are too sensitive for the trash. Did you know that most identity theft occurs from documents put in the garbage? Don’t let yourself fall prey to this costly problem – let us come to you and destroy your private records right in front of you. All our employees are uniformed have a photo ID and were background checked and drug tested before being employed and then annually. They also sign confidentiality agreements.  We are also National Association for Information Destruction (NAID) AAA Certified which means we have been and continue to be audited to insure we exceed the highest standards in the industry giving you peace of mind with the company that is destroying your confidential papers..